We rounded off our Gosh and Wow! topic with a bang by performing our Magic Circus routines to a huge audience comprising family, friends and a Year 1 class. We prepared by acting out the story of The Magic Circus, practising the skills we learnt at the workshop at the start of the half term, and making posters that we displayed around school. Finally, it was time entertain and amaze our audience. Which members of the circus can you spot? What were their skills? How did you feel as a performer? How about as a spectator? On another note, did you know that someone in Reception C used to live in Nepal? We sold popcorn and programmes to raise money for the Nepal Earthquake appeal. 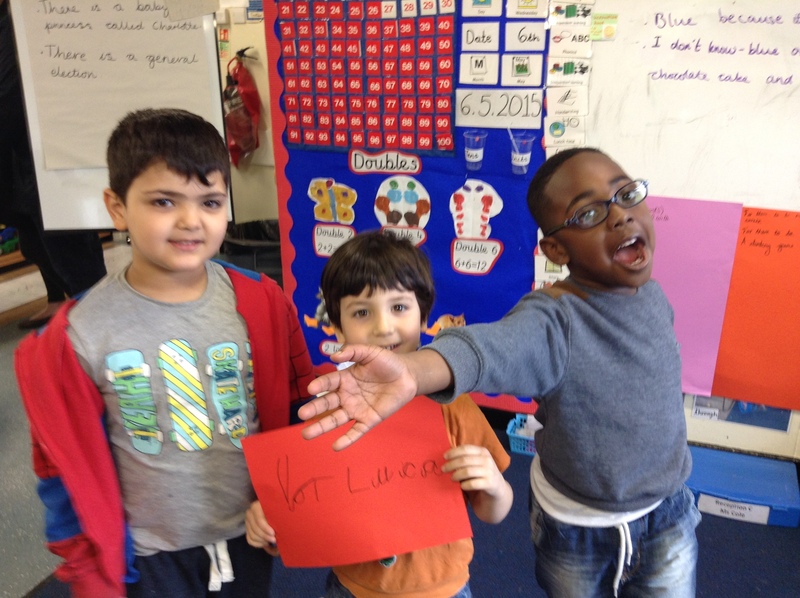 We raised almost £18, and together with Reception B, a grand total of £50! This has been donated to Oxfam’s Nepal Earthquake Appeal. If you’d like to find out more or make a donation, you can do so here. Thank you to everyone who came and made our Magic Circus event so very special and memorable, and well done to all of the fantastic circus performers! On the last day of half term, the school celebrated its diversity with an International Evening. 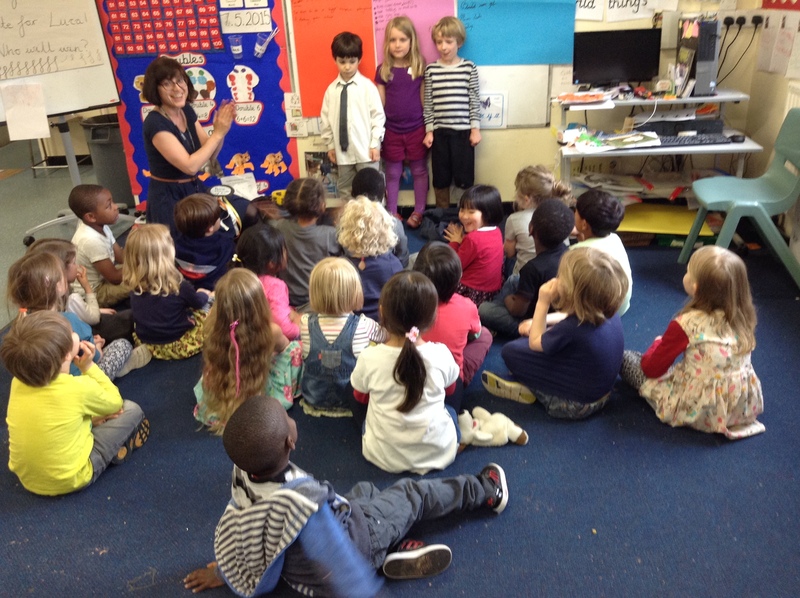 Some of the children in Reception C dressed up for the occasion. 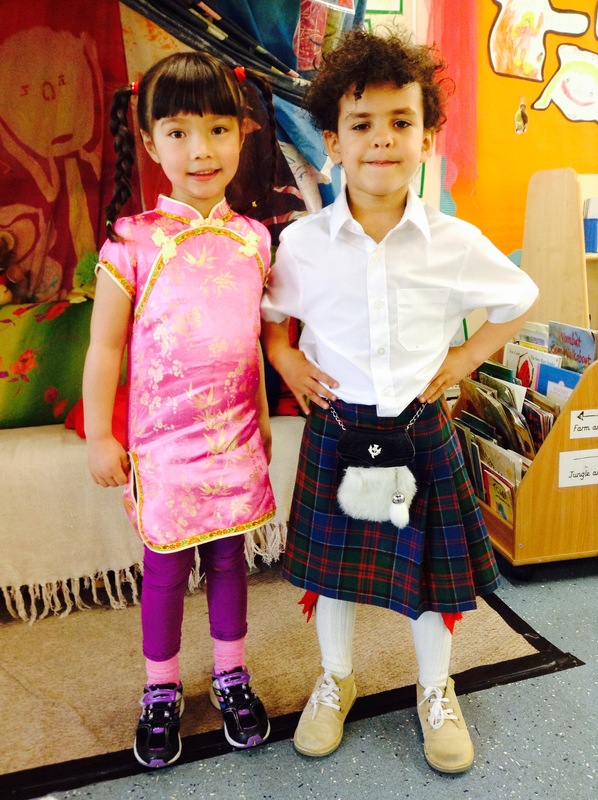 Emily H is wearing a traditional Chinese dress and Isaac is wearing a traditional Scottish kilt. We love hearing about, sharing and learning from each other’s experiences! Roll up, roll up! Come to the magic circus! The greatest show on earth! The children have been practising their circus skills and you are invited to a showcase of their talents. Skills include juggling, hoop skills, balancing, tightrope walking, rolling and clowning. Reception C has been brimming with election mania today! From the very get-go, the three candidates and their supporters have been canvassing around the classroom. In the morning, we had the opportunity to pose questions to the party leaders. After lunch, the party leaders gave their final statements. Then it was voting time. 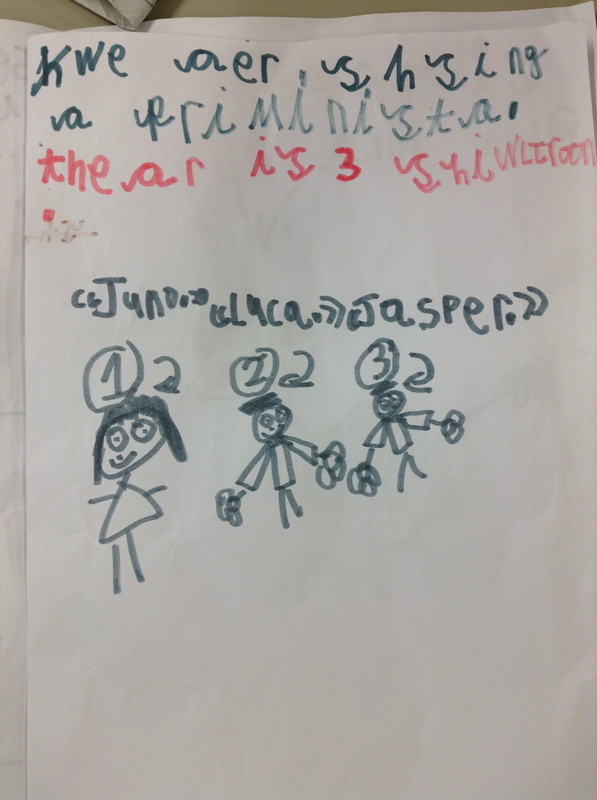 Each voter in Reception C wrote down the name of their chosen candidate and posted into a secret ballot box (there was an option not to vote, but all 28 children and 2 adults present decided to use their vote.) Mrs Adaah invigilated the ballot and a panel of volunteers counted to check the number of votes for each candidate. In a surprise turn, the purple party received the most votes by far, making Juno our new Prime Minister. Well done to all three candidates, who all presented very compelling campaigns. With support from her party and the opposition candidates, Juno will now set about making positive changes to Reception C. Her first decision was tomorrow’s activity for the Creative Table, which she confidently announced as “junk modelling”, to a massive cheer and round of applause from the class. We are electing a Prime Minister for Reception C. The three candidates put themselves forward, chose a party colour and outlined their key policies. They then recruited party members. Some children from Year 4 had discussions with the three parties, and helped them write their manifestos. 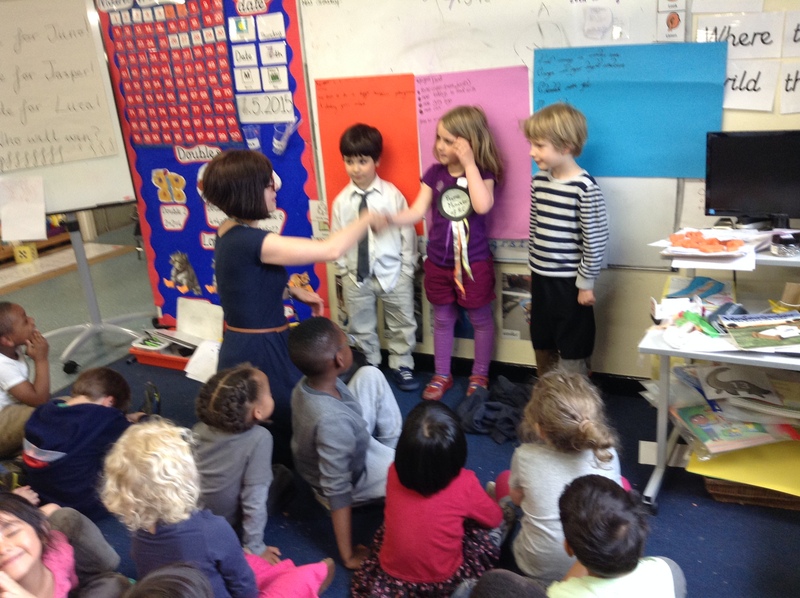 The party leaders then presented their manifestos to the class. 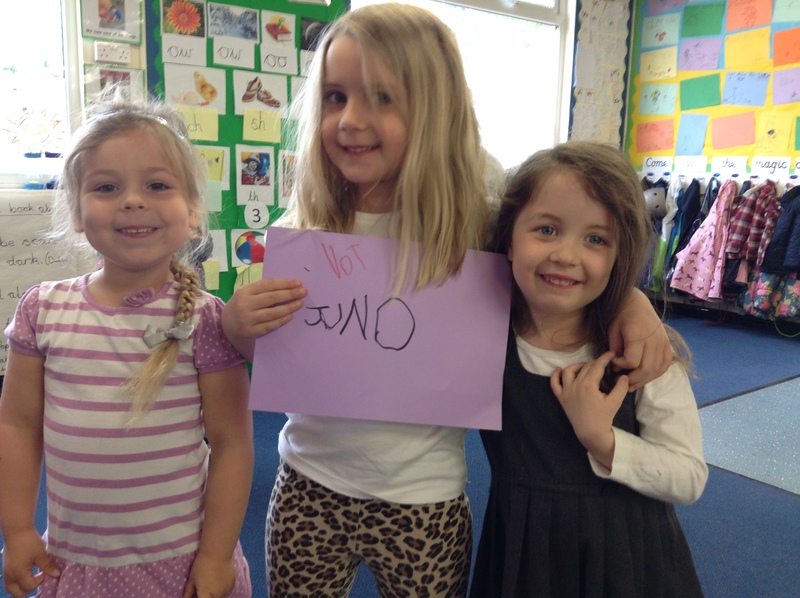 There is a real buzz about the election in Reception C today. 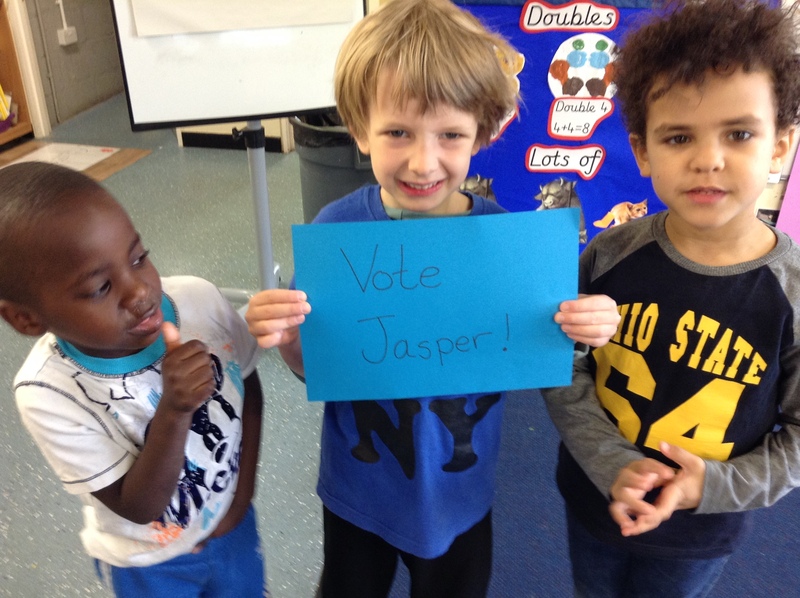 Opinion polls have shown Jasper’s blue party to be an early favourite, but anything could happen. Tomorrow is election day. Who will you vote for?